See in Glossary. The following is a script used to create the Tile. 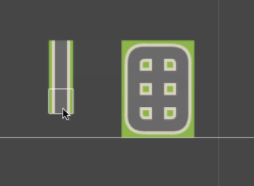 // This determines which sprite is used based on the RoadTiles that are adjacent to it and rotates it to fit the other tiles. // As the rotation is determined by the RoadTile, the TileFlags.OverrideTransform is set for the tile. // This determines if the Tile at the position is the same RoadTile.